Home / Making money / Five Tips For Running A Successful Side Hustle – Even If You Think You Have No Time! by Miss ManypenniesLeave a Comment on Five Tips For Running A Successful Side Hustle – Even If You Think You Have No Time! 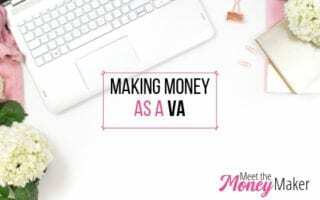 Have you ever thought about working a side hustle to make some extra money, but then left it as just a thought because you felt like it would be too much to fit around your existing commitments? Think again! 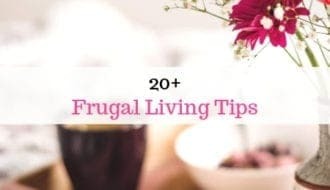 This post is by Ruth who runs RuthMakesMoney.com and gives some great tips and advice for how to successfully run a money-making side hustle, even when you think you don’t have enough time. I’m Ruth, and for the past eight years, I’ve had what you could describe as a bit of a ‘portfolio career’. Since ditching my job in the corporate world in favour of going it alone and being my own boss, I’ve learned that the greatest peace of mind – and also the greatest satisfaction – comes from knowing my income comes from various sources, and being able to work on a variety of projects. Though freelance writing has been my bread and butter and my best earner, I also run online courses, sell vintage and pre-loved clothes on eBay, matched bet, and even do a little bit of consulting. That might sound like a lot of things to juggle, and I suppose that it is. But I’ve managed to create what I consider to be a healthy level of balance along the way. If you’re interested in starting your own side hustle alongside your other commitments, whether that be working full-time or raising a family, then I really do believe that it’s possible. The trouble with having so many options when it comes to side hustles is that we often feel an overwhelming need to do everything all at the same time. In reality, this means that we can waste a load of hours doing things that just aren’t a good fit for us, or we flit about from one thing to another, without ever giving one task the dedication that it needs to create success. My own solution to this has been to make sure that I get one thing off the ground and really working before I start to add other things to my list. If you’re at the start of your side hustling journey, I’d definitely recommend doing the same. Pick one thing that you’re passionate about and that you want to pursue, and put all your other ideas on the backburner. You’ll benefit hugely from the focus and the clarity that this approach brings. When you have little time to commit to your side hustle, it’s so easy to let the days, weeks, and then months pass you by without being able to achieve much. The good news though is that you don’t have to dedicate hours and hours each day to be able to see some great progress. A while ago now, I came across the concept of ‘No Zero Days’, and it’s something that I’ve successfully used to make sure that I’m moving the needle with my projects, even when time is limited. The idea is that even when you’re busy, you do one small thing each day to take you further towards your goal. That could be sending one email, or listing one item on eBay, or any other small task that will make even the tiniest difference. The beauty of it is that you slowly but surely build momentum, and over time, results become inevitable. Most people are more than happy to work their traditional jobs, and never even consider starting a side hustle. That’s great, and it wouldn’t pay for us all to be the same. But it does mean that when we decide to go against the grain, our loved ones often just don’t understand. They might resent the time we spend on our projects, or just not take it seriously. Obviously, this can create a whole host of issues, and it often forces us to put our projects on hold. The best advice that I can give on this one is to talk to your nearest and dearest about your plans. Tell them why they mean so much to you, the kind of change that they could create in your lives in the longer term, explain the process and what’s going to be involved, and even how they could help to take the strain off a little by taking on a few more household tasks, for example. Getting their buy-in is often the first step in ensuring that you feel supported on your journey, and that makes absolutely everything easier from that point onwards. Do you ever have so much to do that you end up feeling overwhelmed, and achieving absolutely nothing? I’ve been there! If you’ve got limited time to work on your side hustle, then getting yourself organised is key. Personally, I find it useful to create a to-do list each evening for the next day, so I can get everything out of my head and get a good night’s sleep. I’m mindful to pinpoint the tasks that really matter and are going to make the biggest difference, and then work on those first, instead of trying to do every single thing on my list. I also use an organisation app called Trello to help me to plan my projects. What works for you will probably be different, but the most important thing is creating systems and routines that take away some of the overwhelm, and give you the best possible chance of getting stuff done. The traditional workplace has conditioned us to believe certain things about careers and how we make our money. We believe that the amount we earn has to be tied to the amount of hours that we work. We think – even subconsciously – that earning money has to involve hard work and struggle. We might even have limiting beliefs about our own abilities and earning potential, based on our perceived successes or failures to far. Changing your mindset isn’t something that you can do overnight, but a good starting point is to recognise your beliefs about work and money, and start telling yourself a different story. 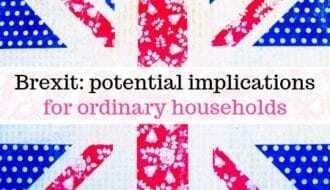 It absolutely is possible for you to earn a great income entirely on your own terms. You don’t have to burn yourself out in the process. And it really is okay for you to have everything you want! There’s no denying that running a successful side hustle can be a big challenge, and there’ll definitely be bumps in the road. Taking action in these five areas though can make a big difference, and really maximise your chances of success. 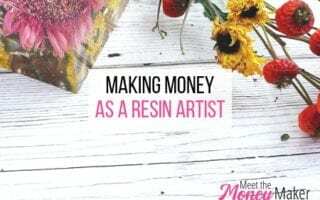 Ruth blogs about genuine ways to make money online at RuthMakesMoney.com, and loves showing people how they can create their own income streams outside of the traditional workplace.